(left) Cornelis de Vos (Flemish, Hulst 1584/85–1651 Antwerp), Portrait of a Young Woman, Oil on canvas. The Metropolitan Museum of Art. Accession Number: 71.46. (right) Jacques Fath (Designed in America for Joseph Halpert), Lord & Taylor ad, published September 1952. Special Collections and FIT Archives. 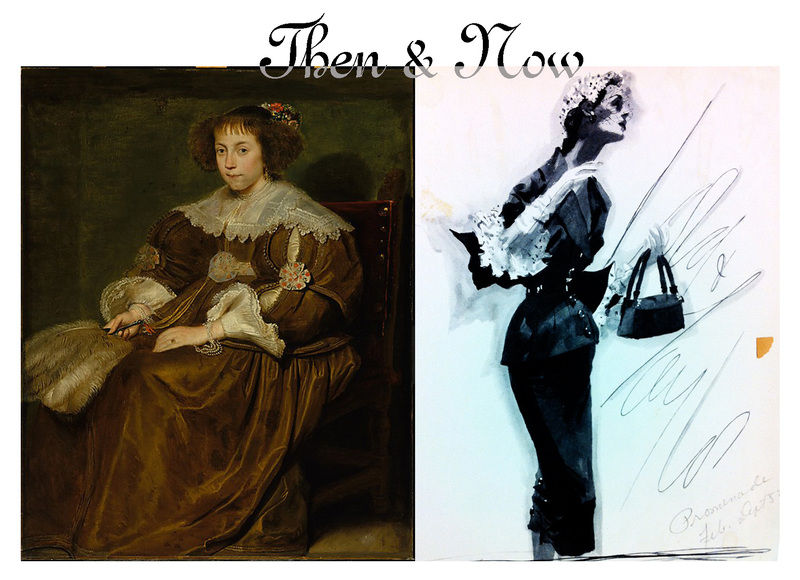 This entry was posted in Then&Now and tagged 17th century, 1950s fashion, Cornelis de Vos, European paintings, History of Costume, Jacques Fath, Joseph Halpert, Lord & Taylor, Special Collections. Bookmark the permalink.